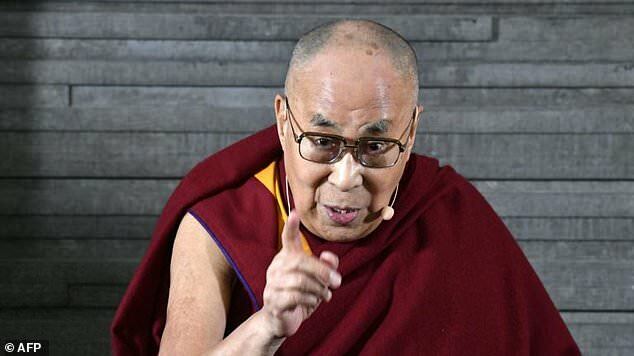 The Dalai Lama, told an audience that ‘Europe belongs to the Europeans’ and that refugees should return to their native countries to rebuild them. Speaking at a conference in Sweden’s third-largest city of Malmö on Wednesday, home to a large immigrant population, the Buddhist spiritual leader, said Europe was ‘morally responsible’ for helping ‘a refugee really facing danger against their life’. The 83-year-old Tibetan, who fled the capital Lhasa in fear of his life after Communist China poured troops into the region to crush an uprising said: ‘Receive them, help them, educate them… but ultimately they should develop their own country. ‘I think Europe belongs to the Europeans,’ he said, adding they should make clear to refugees that ‘they ultimately should rebuild their own country’. Buddhist monks are among the most forthright critics of Islamisation in several Far Eastern countries.